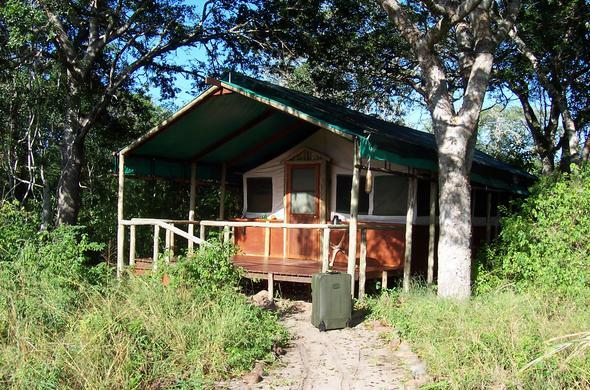 Tembe Elephant Lodge is located in KwaZulu Natal offering an infinite variety of attractions in the Tembe Elephant National Park and the surrounding Maputaland area. The name speaks of untamed Africa, where nature still holds sway and life beats to the ancient rhythms of a timeless continent. This is the Africa of Tembe African Elephant Park, where the real Africa of the wild begins. Tembe Elephant Park and Lodge offers both local and international guests a rare combination of the magnificence of a national game park coupled with the personal touch and 'creature comforts' of a privately managed bush lodge. Situated in Maputaland, the north-eastern region of KwaZulu-Natal, South Africa, adjoining the Mozambique border, Tembe is home to the biggest African Elephant herd in the province and its only indigenous Elephants. Tembe Elephant Lodge is a luxurious safari lodge, which consists of luxury en-suite tented accommodation. A thatch-sheltered splash pool and open barbeque complete the picture. Enjoy tasty meals under the stars and the dancing flames of the campfire in the African bush.